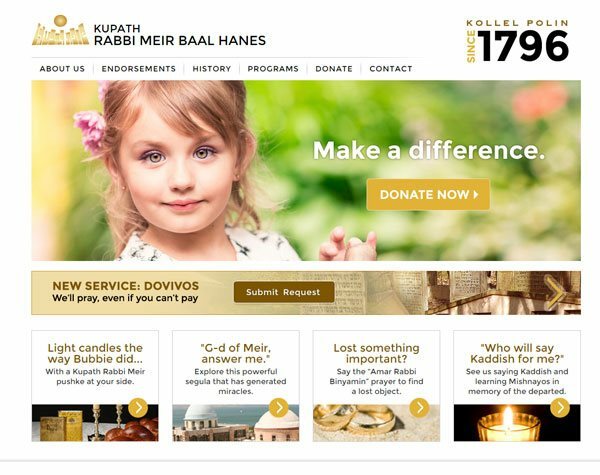 Website for Kupath Rabbi Meir Baal Hanes, a reputable, long-standing charity. Donation form accepts credit card, as well as paypal in various currencies. Site displays in multiple languages.